Published: Monday, January 15, 2018 The Solar Energy Laboratory (LES) of Uruguay has recently conducted its first measurement campaign to assess UVA, UVB and UVE (Erythemal) radiation in the Antarctic Summer. The Base Científica Antártica Artigas (BCAA) of the Uruguayan Antarctic Institute is located at latitude 62°11’(S) and longitude 58°52’(W) at Collins Harbour on King George Island (the largest of the South Shetland Islands), about 100 km from the Antarctic peninsula. These measurements are of particular interest, since the base is located within the southern ‘Ozone hole’ area of influence. The main instruments were a Kipp & Zonen UVS-B-T radiometer calibrated at the factory in June 2016 and a UVS-AE-T last calibrated at the PMOD laboratory in Switzerland (World Radiation Center, Davos). These instruments are thermally stable due to their internal heaters, which maintain the electronics and optics at +25 °C. Auxiliary instruments for global horizontal irradiance measurement and ambient temperature were calibrated at our laboratory. 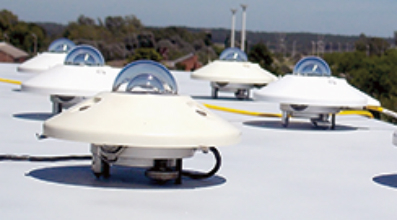 Both the UV instruments performed as expected and a preliminary analysis of the data shows rather higher UVB than expected as a fraction of broadband irradiance. 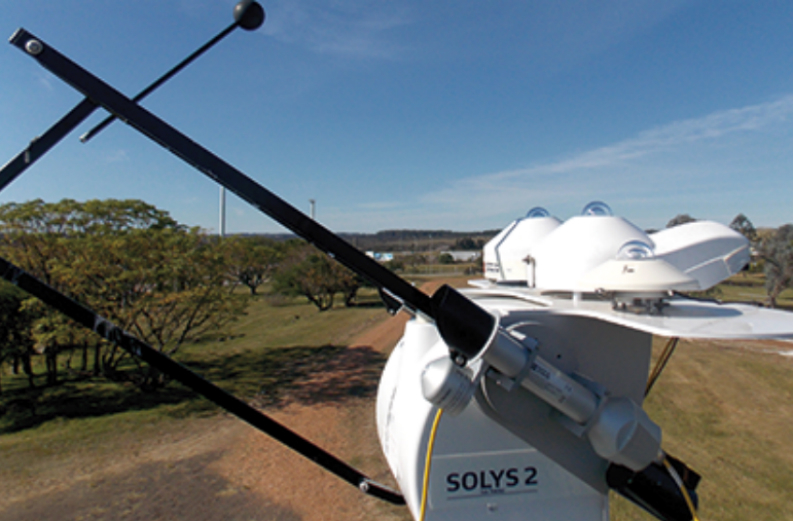 The Solar Energy Laboratory also operates an outdoor calibration facility, the only one available in Uruguay. More than 100 radiometers have been calibrated against our secondary standard Kipp & Zonen CMP22 pyranometer, following standard ISO 9847:1992 ‘Calibration of field pyranometers by comparison to a reference pyranometer’. 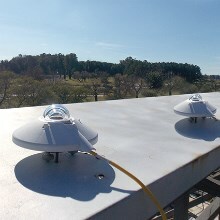 At LES we have also operated and maintained (with support from the local Ministry of Energy) a continuous solar radiation measurement network since 2010. This network currently has eight sites distributed over Uruguayan territory. 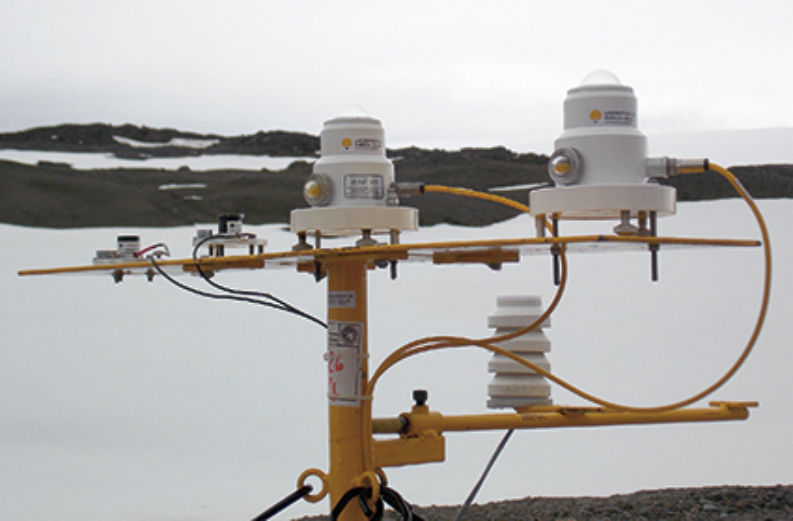 All the sites have a Kipp & Zonen secondary standard pyranometer (CMP11 or CMP10) as the main GHI measurement. A redundant GHI measurement using photodiode radiometers and an ambient temperature measurement based on a calibrated Pt1000 RTD is also included. At some sites, diffuse radiation or tilted radiation is also measured. This quality-controlled data has contributed to the development of several large photovoltaic projects in the country. Currently (as of 2016) Uruguay generates 98.6% of its electricity from renewable sources (solar, wind, biomass and hydropower) and is exporting its surplus electrical energy to its largest neighbours, Argentina and Brazil. To contextualize, the worldwide average for the renewable share of electrical generation is close to 20%. By Dr. Gonzalo Abal, Laboratorio de Energía Solar, Centro Universitario Regional Litoral Norte, Salto, Uruguay.